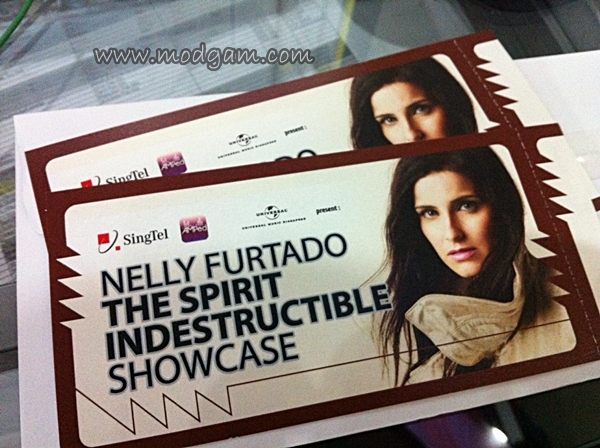 Nelly Furtado ‘The Spirit Indestructible’ Showcase in Singapore! In Singapore to promote her 5th album, The Spirit Indestructible, at The Coliseum Hard Rock Hotel, meet Grammy award winner Nelly Furtado! We checked in at 1930 as told and were really excited. The excitement went into hunger and frustration for there was still no sight of Nelly even after waiting for 1.5 hours. Luckily the cool DJ from Hot FM 91.3 started spinning really awesome tracks and got the crowd excited. This has got to be one of the coolest mix I’ve ever heard! I’m sorry I didn’t catch his name but I will be sure to google and check. Nelly finally appeared at 2115 and got the party started with ‘Maneater’. The crowd went alive as Nelly and her band rock the stage, hit after hit! 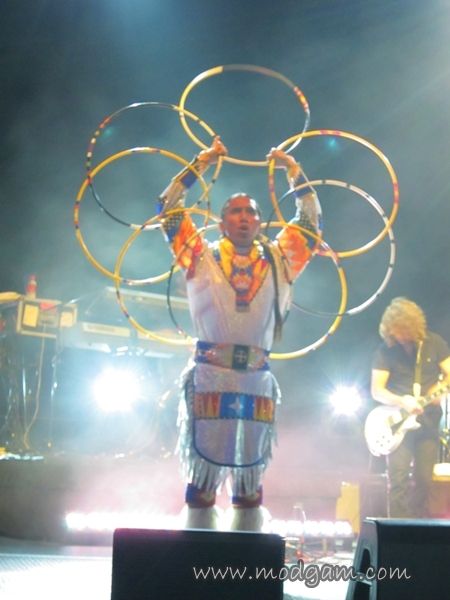 It was an eye-opener when Nelly sang ‘Big Hoops (Bigger The Better)’ with Tony Duncan, a champion hoop-dancer danced beside her. I’ve never seen hoop dancing and its really interesting to watch. I was a little disappointed for I was anticipating ‘Promiscuous’. Nevertheless, the wait was worth it as Nelly and her band did an awesome job though out the 45mins showcase!